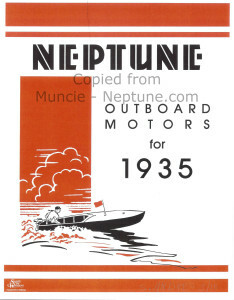 This site is dedicated to Muncie Gear Works outboards, Neptune outboards, and the other brands made by Muncie such as Motor Go. Sea Gull, and Water Witch, from 1930 to 1942. Included are listings and detail specs for all models EXCEPT all the Mighty Mite series of motors. 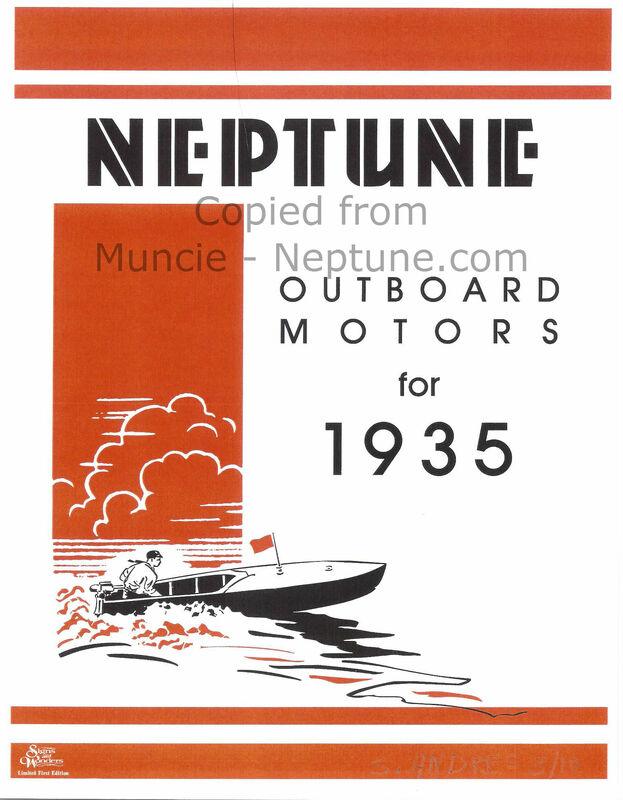 Please visit the Muncie Neptune Models page to see the chart of all the different models. To get a look at the technical details for a specific model please visit the Technical Data page. We have also posted viewable files of many of the Neptune catalogs from 1930 to 1947. As a service to collectors , restorers and owners, we offer many replacement castings for parts frequently missing or broken on our Neptune Castings page. These are AS CAST, not machined. Machining services are available, please inquire for details. To view our vinyl, sticky back decals for these motors, please visit the Muncie-Neptune Decals page. Many thanks for technical help from Brian Teel & Steve Andres.